!! OMG, first look: Johnny Depp in ‘The Lone Ranger’ !! 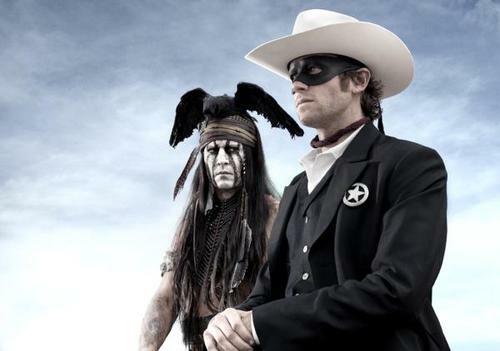 Although you’ll be waiting until May 2013 Johnny Depp and Armie Hammer in The Lone Ranger, producer Jerry Bruckheimer still wants to whet your palette (I’m sure that’s an innuendo somehow) with this teaser shot he tweeted into the twitterverse today. If you squint, it almost looks like Captain Jack Sparrow with a bird on his head. Almost. 3 Comments on "OMG, first look: Johnny Depp in ‘The Lone Ranger’"
Depp will be funny, but Hammer is hot!